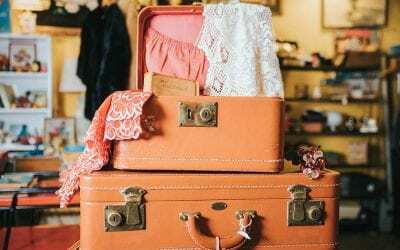 We have all heard about Waikiki Beach and Diamond Head, but how many of us have been to Bishop Museum and the Iolani Palace? These sights exemplify the stark differences between tourist Hawaii and natural Hawaii. My visit was only a short one and I stayed with a friend in the far southwest corner of the island. However, every day was filled with activities, both natural and historic. When I suggested that I put together a post about the two sides of Hawaii — history and nature — the response was positive. So, here it is. Prior to visiting Hawaii, I recommend that travelers read James Michener’s Hawaii. This novel based on history provides an overview of the islands and their development. Michener looks at the different ethnic groups and how they came to be on the islands. The original group fled from Bora Bora. This formed the royalty of the island. Then the missionaries came. Michener leads the reader through the establishment of Chinese and Japanese families as members of the community and shows how each of them contributed to the development of the islands. Michener uses historical facts to develop the story of his novel. The novel begins in the ninth century and ends in the mid-1950s. The novel shows how the descendants of the original missionaries became the leading families in terms of business, wealth, and politics. The many intermarriages resulted in all of the originals becoming known as the family. Some married Hawaiians. Most were sent to America to be educated. When they left the ministry they went into business on the islands. Over the years, these businesses developed into the most powerful and successful ones on the islands. Visit the Bishop Museum, founded in 1889 when the Islands were a kingdom. The museum originally was intended to house the legacy of Princess Bernice Pauahi Bishop, the last heir to Kamehameha I. Bishop Museum has the largest collection of Hawaii and Pacific area artifacts in the world. The Picture Gallery has been restored as a window into the nineteenth century. 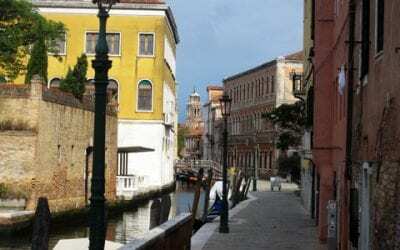 Pieces from the Museum’s extraordinary collection of oil paintings and rare books from the museum library will be displayed on a rotating basis. The Iolani Royal Palace is perhaps the spiritual center of old Hawaii. This state was the only one to have been formerly an independent kingdom. The Iolani Palace was the home of the monarchy and had electricity, plumbing, and phone prior to both the White House and Buckingham Palace. Much of the furniture which had been sold when the building was turned into an office building has been repurchased and restored. This was the site of the last Hawaiian Queen’s imprisonment and the eventual takeover of the government by business interests. Pearl Harbor and the Arizona Memorial are devoted to the surprise attack that started WWII with Japan. The Pearl Harbor Visitor Center is operated by the National Park Service and is open daily from 7 a.m. to 5 p.m. (closed on Thanksgiving, Christmas and New Year’s Day). Admission and parking are free to all visitors. Get tickets online prior to coming to the memorial or the National Park Service gives out over 1,300 free walk-up tickets each day on a first come, first served basis. Be sure to arrive early for these walk-up tickets; the Pearl Harbor Visitor Center opens at 7 a.m. The USS Arizona Memorial is built over the remains of the sunken battleship USS Arizona, the final resting place for many of the 1,177 crewmen killed on December 7, 1941, when their ship was bombed by the Japanese Naval Forces. This loss of life represents over half of the Americans killed during the worst naval disaster in American history. These sites mentioned above, except for the Arizona Memorial, are little known outside of Hawaii. Most visitors come to these islands to enjoy the wonderful weather, beaches, surfing, and tropical vegetation. 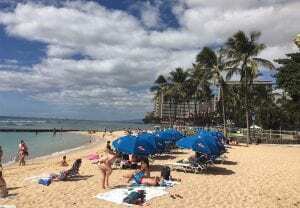 Waikiki is a name known far and wide for luxury beach vacations and swaying palm trees. For me, this Honolulu beach is far too urban. Since I had a rental car, I had the freedom to drive across the island. Rental cars are not terribly expensive and they make staying in vacation homes much easier and convenient. 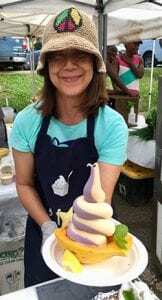 I drove to the big Kapiʻolani Community College (KCC) farmers market and bought greens for dinner and papaya for the next day’s breakfast. The stalls were filled with exotic fruits and vegetables. The market operates on Saturday morning from 7:30 until 11 a.m. and on Tuesday evenings from 4-7 pm. A spectacular drive up Highway 72 takes visitors from Diamond Head to the Makapuu lighthouse. The setting for this point is wonderful and is reached by hiking about three miles (round trip) up a trail from a carpark. Parking can be tight and the trail is a path populated with families, strollers, pooches, and camera-clad sightseers. 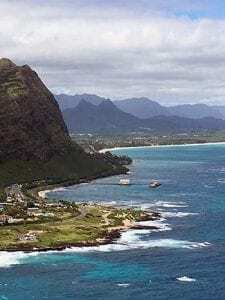 From the top of the point, the views northward up the Makapu’u beach stretching toward the North Shore is breathtaking. 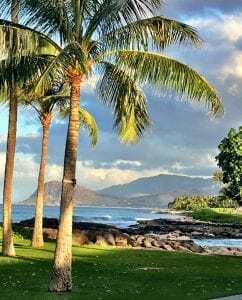 On the other side of the island, the drive up the western shore of Hawaii will quickly convince travelers that Hawaii is not only a haven for the wealthy. Here, small houses are packed into communities and cars seem to fill everyone’s yards. The beaches are for the most part rugged, but some are manicured. This side of Hawaii has so far escaped discovery by most guidebooks and tourists. At the far northern end of the shoreline, the road stops. It is a dead end. Prior to the road ending, there is a small cave, Kaneana Cave, where legend says mankind emerged and his existence spread throughout the Waianae Coast. On the road back to civilization Makaha Beach Park has some good surfing and a nearby town with a collection of stores and a surprisingly good Hawaiian restaurant filled with locals, Hannara Restaurant. It serves everything from breakfast to Korean to Hawaiian specialties like Kalua Pig and cabbage, Lau Lau, Poi, and Loco Moco. If looking for local culture, this is the place. Finally, we come to the cluster of upscale hotels at Ko Olina. Here, the Four Seasons, Disney’s Aulani Resort, and Marriott’s Olina Beach Club rise side by side. At the far northern sector of the neighborhood is the Paradise Cove Luau. Some come to Hawaii and never leave this corner of Oahu. There is swimming in four lagoons and a manicured landscaped garden surrounding the area. The nearby Paradise Cove Luau is one of Oahu’s top entertainment venues, with a full show, rides on outrigger canoes, and a luau show complete with a roasted pig pulled freshly from the pit. 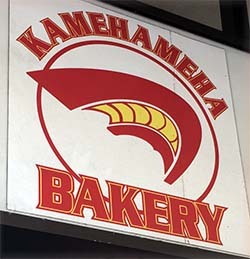 To finish off any tour of Oahu make sure to make your way to Kamehameha Bakery for their Malasadas. The local transportation worker who told us about this place lit up when he described malasadas. Ours did, too, when we tasted them. These wonderful pastries and donuts are amazing and are a reason themselves to return to this industrial section of Honolulu, not too far from the airport. I’ll even bet your taxi driver knows his or her way to get here when visitors head to the airport to depart. Also, if kids are in tow make sure to try Hawaiian shave ice (not shaved ice). Photos © C.Leocha except where noted.